Let's all admit one thing: food is pretty good, but it's even better when it's, you know, great food. For me, this is food that's presented in a gorgeous manner, and it also tastes fantastic! Or perhaps you're just interested in the pretty foods for Instagram, but they don't taste any better than something else you've had. Or maybe you love cooking your own food, and you're proud of it too. No matter what your preferences are, we can all be considered foodies at heart if we just appreciate good food. We've rounded up some apps that are perfect for all foodies, so let's dive in! Yelp is our go-to for many things, but finding a place to eat is probably the biggest reason we use it. With the Yelp app, you can easily browse for restaurants and businesses by the categories they have set up, or you can search for something specific. When you find something that interests you, just tap on it to check out more details, such as hours, price range, menu information, photos, and much more. The reviews left by other people will always include some useful information, such as recommended dishes and drinks, specials, and other tidbits. Before you go anywhere new, it's always a good idea to check what other Yelpers have to say about a place. Even though this is more of a "travel" app, it's a great app for restaurant recommendations. With TripAdvisor, you can search for restaurants that are near you, or even plan ahead and check out some great restaurants for your next trip. Like Yelp, TripAdvisor packs in a ton of information for each restaurant you're interested in, so you get information like hours, location and directions, phone number to call, and more. Other TripAdvisor users can leave reviews for hotels and restaurants, and they're pretty honest and accurate, so you get objective-based opinions here. And there are plenty of photos to go through too, in case you're more a visual person. TripAdvisor also has ranks for every restaurant in a city, so you can see what's hot and what's not. If you tend to eat out at restaurants often, wouldn't it just make sense to be able to reserve tables from your fingertips while also earning some cash back? That's exactly what OpenTable does, and it's wonderful! With OpenTable, you can browse for nearby restaurants and view information like hours, address, reviews, photos, and more. But the magical thing is that you can view available time slots for reservations and book a spot for however many seats you need, all from within the app. Each booking earns you at least 100 points, and you can leave special instructions on your reservation too, such as allergy notices or if you need a high chair for a child. When you have at least 2000 points saved up, you can redeem them for rewards like cash back for dining or gift cards for retailers. If you use OpenTable often, then it's easy to earn rewards. It's a win-win either way. If you're craving something tasty but don't feel like leaving the house, Caviar has you covered. Caviar allows you to browse restaurants near you, and as the name implies, fancier options are included. 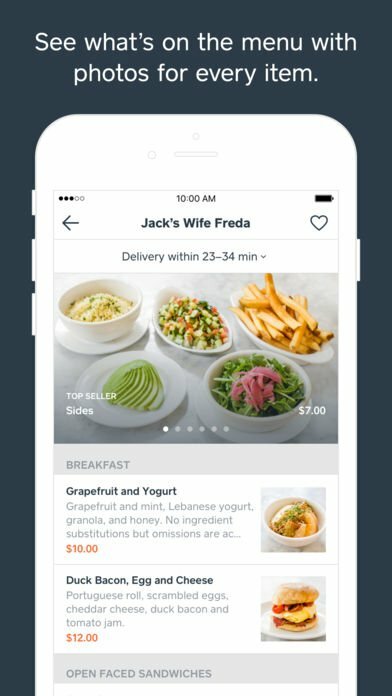 While most places will deliver, some are pickup-only, but Caviar lets you know either way, including if you're outside of the delivery range. Tapping on a restaurant lets you view the menu and start building your order. Once you place your order, you can track the food in real time GPS. However, it should be known that Caviar is a bit limited in terms of cities where it's available: Boston, Brooklyn, Chicago, Dallas, Fort Worth, Greater Philadelphia, Los Angeles, Manhattan, Marin County, Orange County, the Peninsula, Philadelphia, Portland, Queens, Sacramento, San Diego, the San Francisco Bay Area, Seattle, Seattle Eastside, Walnut Creek, and Washington DC. If you're sad that Caviar doesn't serve your area, don't worry! DoorDash is here, and it serves the most cities in the US, so you can satisfy your cravings no matter where you live. 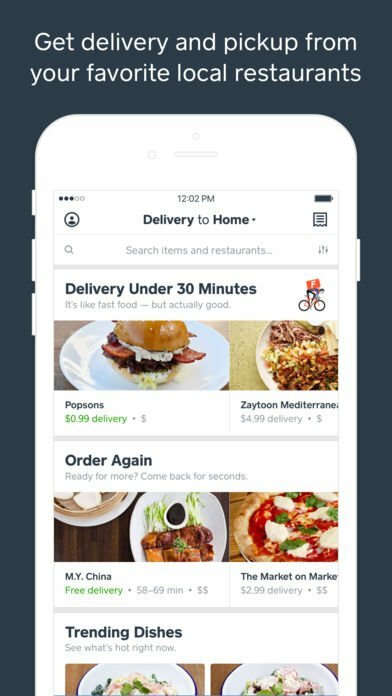 With DoorDash, you can browse through cuisine type or check local favorites right from the main screen. If you're looking for something more specific, just pull up a search with fast results. When you see something that looks tasty, just tap on it to view ratings, estimate waiting times, and the menu. DoorDash even indicates when there's free delivery, or how much the fee would be if you get it delivered. Just select the menu items you want to your order, add special instructions if needed, and place the order. You can track where your food is in real time and favorite orders for future use. DoorDash is easy to use and will keep you full without getting off the couch. Plus, it works pretty much anywhere. If you're looking for a guide to all things food and drink, then ChefsFeed is an absolute must. With ChefsFeed, you'll find a ton of videos and stories that feature cooking inspiration, hot and trendy new foods and drinks to try, top chefs, and everything else that's related to good taste. ChefsFeed also provides recommendations on places that you may like, which is great if you're looking for new spots to try out. Depending on where you are, viewing restaurants will provide information like hours, location, website, photos, and user reviews. However, depending on how many others are using ChefsFeed in the area, this can be hit or miss in less trendy areas. Still, ChefsFeed is a great app for finding all cuisine-related media, and you can get notified of hot new things to try. If you prefer to cook your own meals, then Paprika is one of your must-haves. 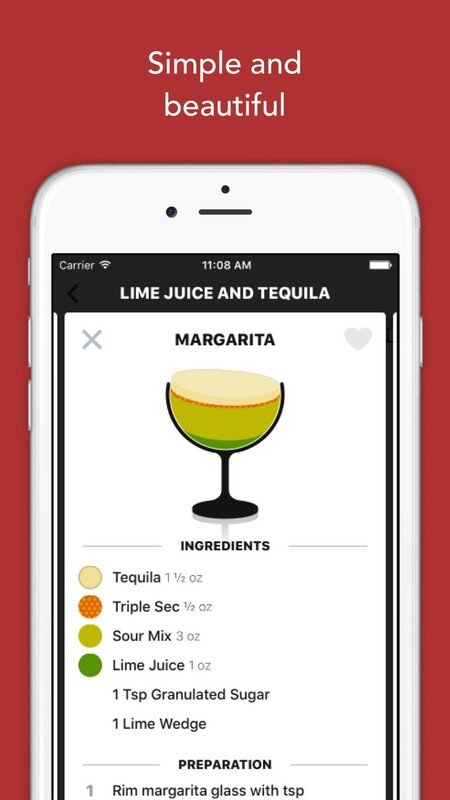 With Paprika, you can search for online recipes and save them within the app itself thanks to the built-in browser. Or you can use the Paprika Share Extension to grab recipes from Safari and save them in Paprika. Recipes clearly lay out the ingredients required and directions involved, and you can mark them off as you go too. Add photos, categorize recipes, rate recipes, and much more. Any ingredient list for a recipe may also be converted into a shopping list while you're at the store. Paprika also supports meal planning if you do that, and there's a free syncing service so your data is accessible from your iPhone, iPad, or even Mac (separate version). To top off all that delicious food, you may want to wash it all down with a tasty beverage, probably a cocktail, am I right? If the answer was yes, then Lush Cocktails is an app you need in your collection! Lush Cocktails has a gorgeous minimalistic interface that's super intuitive to navigate. 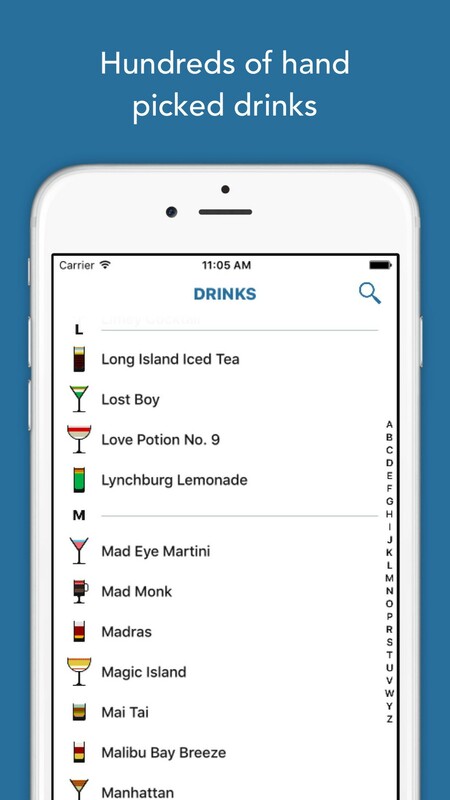 You'll find hundreds of drinks in the app, and each one features a beautiful icon where each and every ingredient is represented in some way. The ingredients you need are listed out individually, and there are easy-to-follow instructions to make that drink flawlessly. If you're a bit overwhelmed by the hundreds of possible drinks to make, then take a look at Lush Cocktails' curated shortlists for ideas on what to serve at your next social gathering or drinking session for one. You can even search by flavor profiles if you're yearning for a particular taste too. What are your favorite foodie apps? We're foodies ourselves here at iMore, so these are just a few of our favorite apps when it comes to food! What are some of your favorites? Let us know in the comments below!